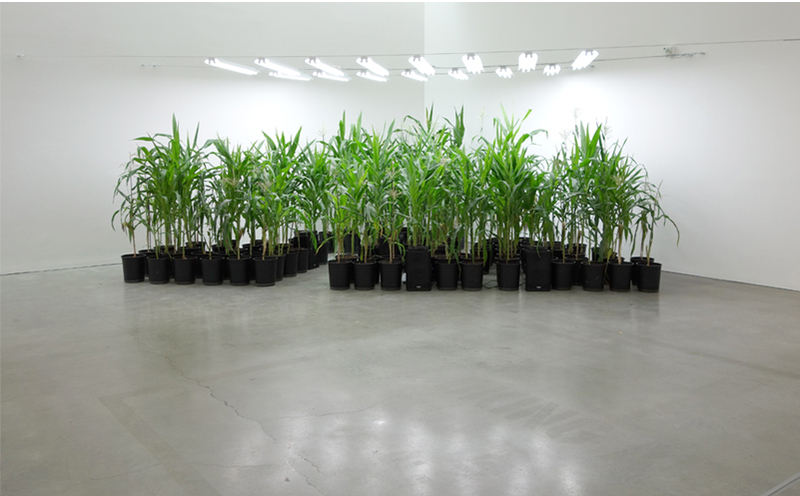 From january to march 2015 i grew corn for a plant concert performed in a museum. 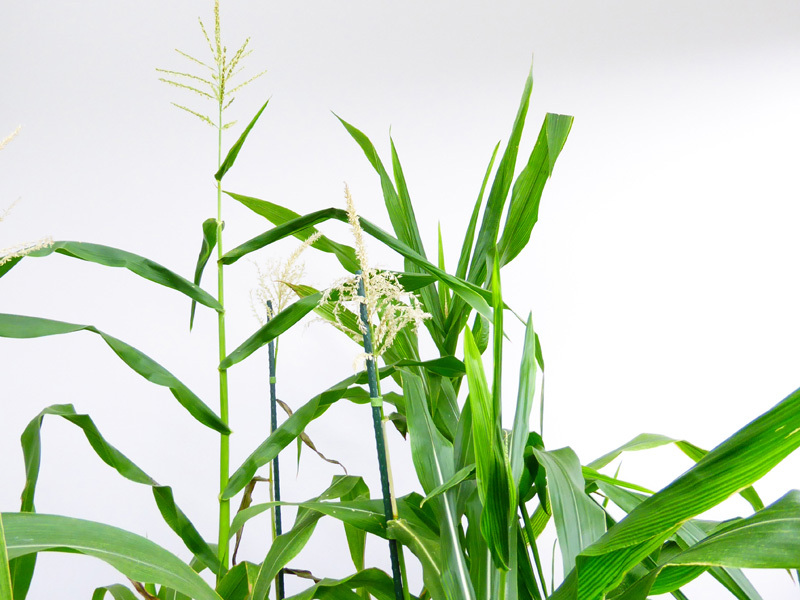 For an exhibition at the Hessel Museum of Art, the artist wired five groups of corn plants to five music devices, forming a biofeedback system. 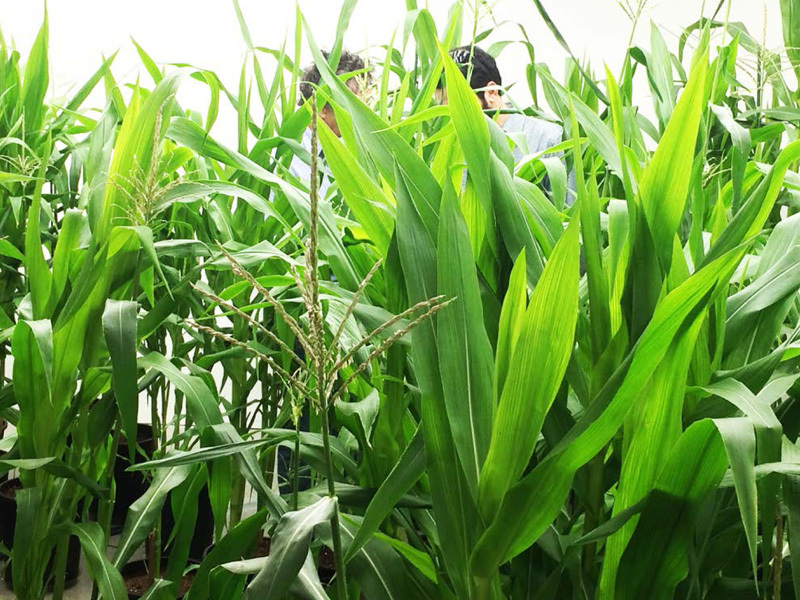 Control signals were generated by measuring the electrical resistance of the plants’ vegetable tissue, which in turn activated the MIDI synthesizers. 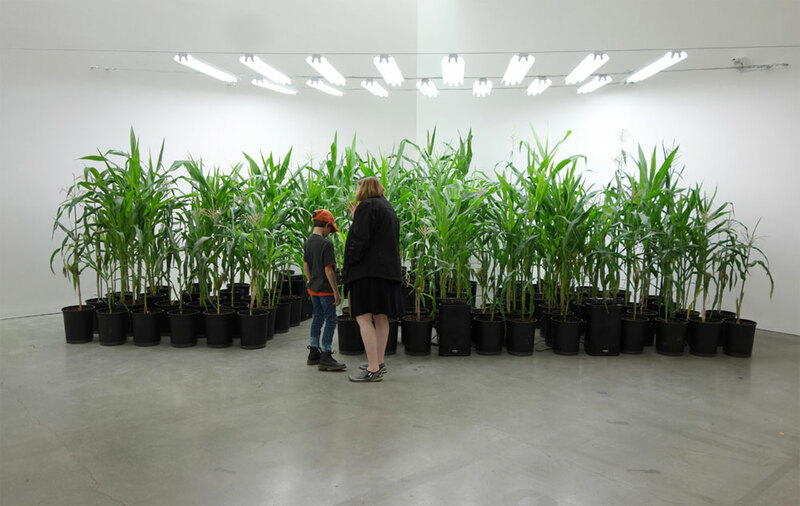 Viewers were encouraged to interact with and touch the plants, which affected the sounds being played. The audience and cornfield were not just participants but actors, acting together—in concert—to produce the work.